Home / Needlework / What can I do from regular napkins? What can be done from regular napkins? Doing handicrafts with a child is not onlyInteresting, but also useful. In addition to communication, the child learns to coordinate his movements and develops imagination, dexterity and ability to be neat. Crafts made of napkins are the most diverse in the technique of execution, and the cost of the source material is small. What products can be made with napkins? Due to the fact that paper napkins haveDifferent colors, sizes, density and easily take the given form, they are often used as a source material for children's creativity. The simplest thing you can do is New Year snowflakes on windows and garlands. Other works are also not very complicated on technology, but take more time. For each craft, some more materials will be required, but the main element is thin translucent paper. To make the application you need a sheetPaper, glue, scissors and multi-colored paper scarves. The latter for convenience of use will need to be cut into small squares or torn to pieces. The surface on which the work will be done is best covered with a newspaper or special glue. First you need to select a picture or on a blank sheetDraw a drawing of the future application. For younger children, it is better to take something easier. For example, a snowman. On the cardboard-base draw three circles, large, medium and small. From colored paper cut out a hat-bucket, eyes and a spout. Napkins tear to small scraps. On this preparatory work is over, you can start creativity. The base is lubricated with glue and coloredPieces. They should be glued as close as possible to each other. When everything is closed on the sides make the handles. After that, it remains to put in place eyes, a nose and a cap. The handicraft is ready! Older children can use long napkin strips, twisted or cut instead of slices. When you combine both parts, you get funny little animals and little men. The principle of their creation is similar to the application, butIt is more convenient to glue not from torn pieces, but twisted balls. Napkins are divided into small squares, and then they roll beads of different colors and put them in cans or bowls. A sketch of the picture is drawn on a white sheet of paper. Now it is necessary to glue each fragmentBalls of a certain color. To do this, glue PVA is applied to the surface of the paper or substrate. It is most convenient to do this sequentially, that is, first place the balls of the same color, then another, and so on. To obtain volumetric elements, for example,colors. Folding the napkin several times, it is centered with a stapler. Then cut out the circle, and the edges are cut to make a fringe. Now it remains every layer to bend to the center and press it well. After that, the flower can be glued to the picture. In this way, you can make a dandelion or carnation. For other colors, can be cut outFigures of different shapes. Edges are made with denticles, waves or do not touch at all. Making such crafts with your own hands, it should be remembered that the more layers to make, the more magnificent the bud will turn out. To get a full flower, in the center,Where the paper clips, insert a toothpick or wire wrapped in paper. Edges are made with denticles, carving out small triangles. It is necessary to compress the layers not only upwards, but also downwards, to make a ball. 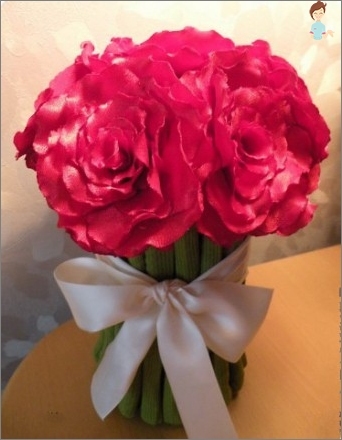 Having made several flowers, you can collect a chic bouquet and put it in an improvised or real vase. For a change, you can also thrust in thereRoses. They are made as follows: a toothpick or a thin wire is inserted in the center. For beauty, she is wrapped in paper of green color. Next, folding the napkins in half and removing the corners inside, begin to wind petals. One petal - one napkin, the more of them - the more magnificent the flower. Bottom attach a cup and leaves. The rose is ready! In the same way you can make other floralCrafts from multi-colored napkins with their own hands. 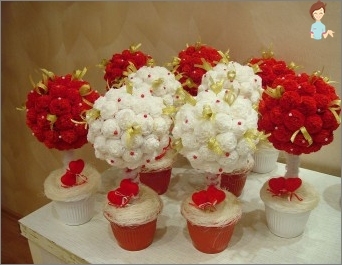 To do this, it is sufficient to change the shape of the petals or to screw them onto the toothpick in a different way. 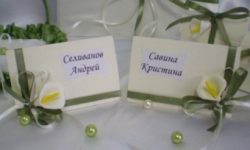 The resulting flowers can be simply put a vase or build a flowering tree of them. You can make dolls. The simplest thing is to fold the paper in several layers and make a strip. Then bend it in half and decorate your head with threads. Then you need to insert a pipe perpendicularly from the paper and tie it with a thread - that's how you get your hands. The remaining "tail"Napkins fluff and get a skirt. Marker draws the eyes and mouth - the hack is ready! A similar technology is used in the manufacture of cloth and thread dolls. Harder to make a ballerina. 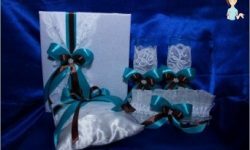 For production, you need 2 small pieces of soft wire, colored napkins, sticky paper tape for window gluing, satin ribbon and scissors. Wire is needed for the base. A piece 30 cm long is folded in half and twisted by 5 cm from the top, the bottom is left untouched. Next, attach a crossbeam, it will be hands. The resulting "Skeleton"Wrapped with a tape for pasting windows, so that there are no open areas and sharp tips. From above it is possible to wrap in addition a tape, so it will be more beautiful. The skirt will be paper, the more layers - the more magnificent the bundle. The hole is cut out in the center and the skeleton of the dancer is stretched in it. It remains to tightly thread the hem and decorate the bodice "dresses". Such a dancer can "make"Any dance floor, because the basis is flexible and if you want you can put a whole show of such beauties. These crafts made of paper napkins can be hungFor strings to a lamp or a ceiling, and they will soar in the air. Paper dolls like to play girls, so for the organization of their leisure, such crafts will do the best! 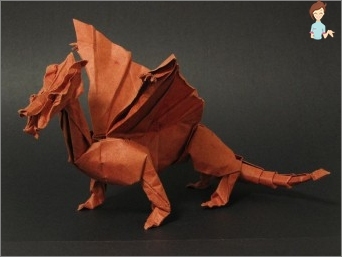 Origami is the most complex kind of paper crafts. Figures are obtained only with the correct folding of leaves and strict observance of the schemes. This process is labor-intensive, but it perfectly develops fine motor skills, develops assiduity and the ability to follow instructions clearly. The very first origami of every child makes in childhood. Usually it is an airplane, a pilot's cap or a frog. Slightly more complex designs - a flower tulip and a bomb for water. These are examples of products from one sheet. For the manufacture of more complex shapes,It takes hundreds and thousands of details. In most cases, these are triangles made from paper in a special way. They are collected according to a certain pattern, thus building up figures. 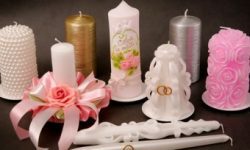 Crafts are very beautiful and standThe forces expended on them, but, unfortunately, the assiduity and accuracy in their production is not enough for everyone. In shops, a lot of literature on origami is sold, so anyone can try to learn this lesson independently. Making diy from napkins for children is another reason to learn something and spend more time with the child. In our bustling time, this is for some reason why most families do not have enough. These simple classes can present much more than the acquisition of new experiences, the ability to control oneself and the development of the child's natural data. Every minute spent with your beloved child,Mutual understanding and trust. The time spent on creating the next masterpiece will be remembered for a long time, and the beauty made by the hands of the child will decorate any interior!